420TV Hits The Herbal Cure on Frieday! We love all Fridays at The Cure, but this Friday is a little more special than our usual Fridays. The upcoming cannabis TV network 420TV show Top Shelf featuring Dr. Dina will be filming in our grow and ad the shop! 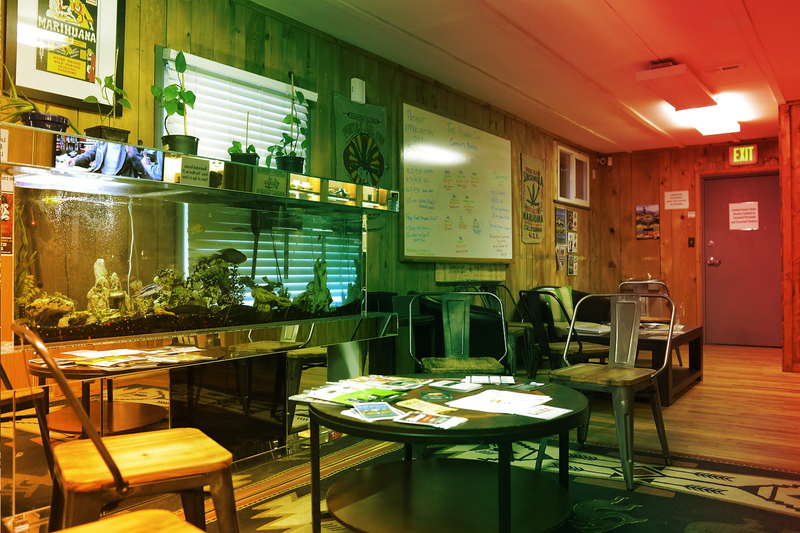 The Herbal Cure will be the featured Denver dispensary and we can’t to wait to show you all a closer look at our day-to-day lives. If you’re around on Friday and want to appear on the show or just check it out, swing by the shop! Across 10 episodes, the Los Angeles-based pro explores regional nuances in the community and dives into challenges farmers face. It’s an educational experience as much as it is a wild ride – and really, what else would you expect from the woman keeping Snoop Dogg up in smoke all these years? 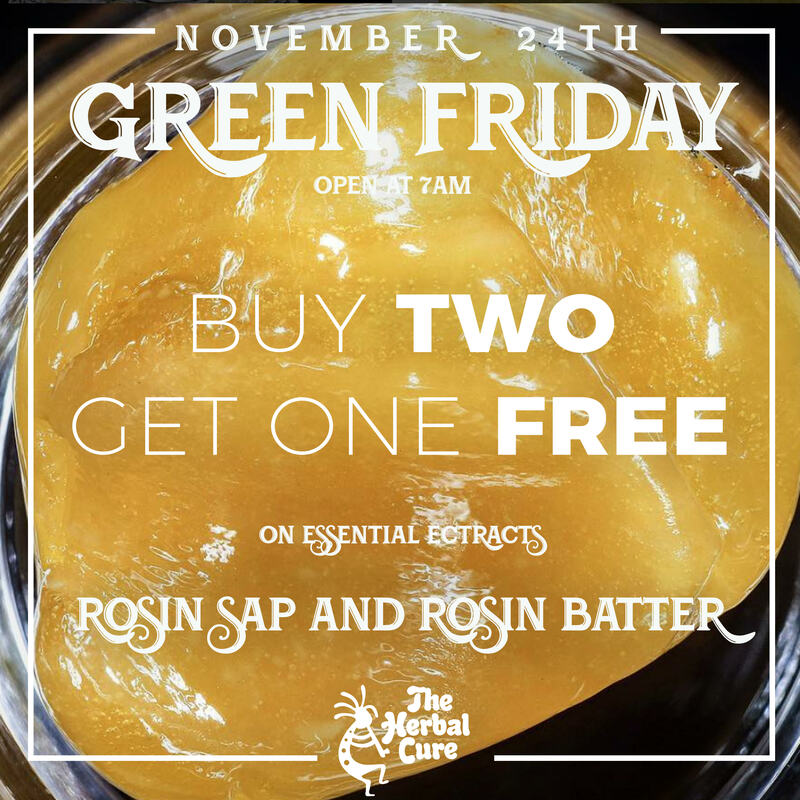 GREEN Friday Sales: $30 Live Resin, $28 Ounce Shakes & More! Who needs Black Friday when you’ve got GREEN Friday? Save your holiday shopping for online and get on down to The Cure to make that holiday shopping a little chiller. We will be opening our doors bright and early at 7 AM sharp on Friday in honor of Black Friday. 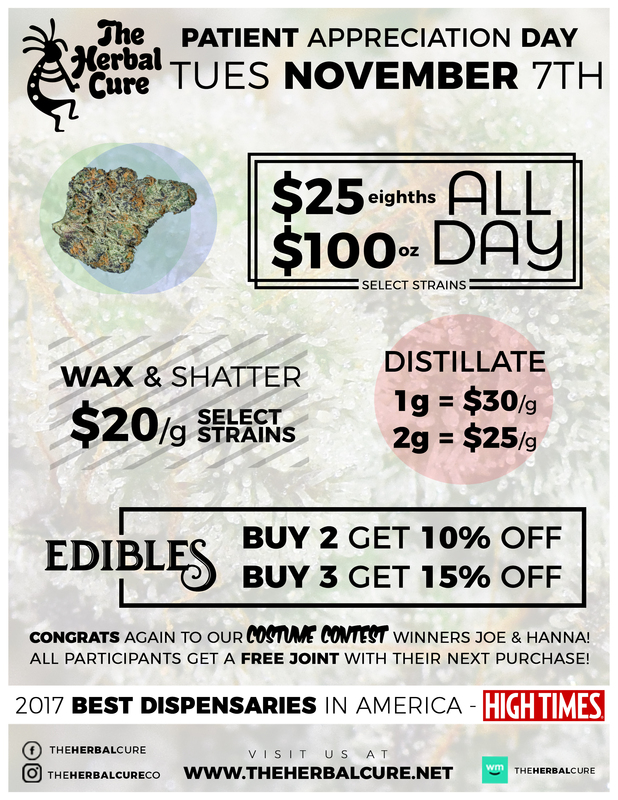 These deals are so low we’re practically giving weed away. To donate to our shop cat Cheddar’s dental work, please visit our GoFundMe! As many of you may know, we’ve got a new member on the team here at The Herbal Cure. 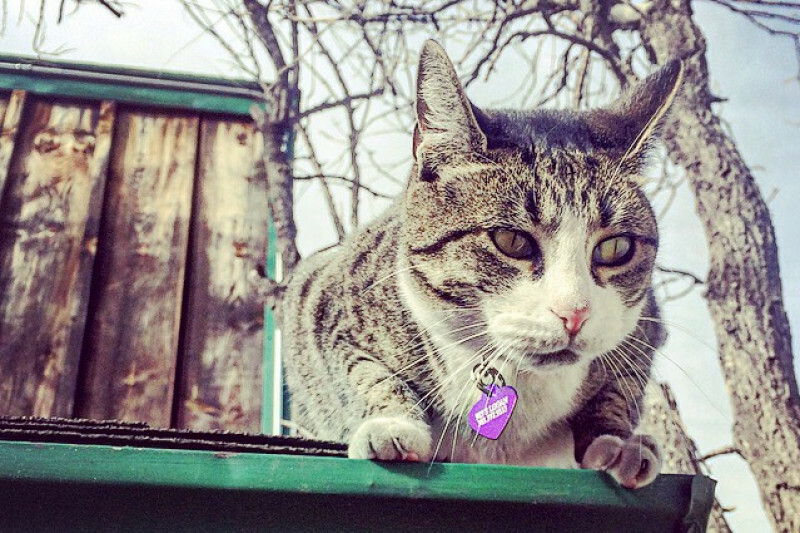 Our shop cat, Cheddar, has quickly won the hearts of both employees and patients alike! Skinny and a little timid at the time, this sweet little cat started hanging around the parking lot a couple months ago. Since then, we’ve taken her in and have starting caring for this adorable feline! During her last vet visit, we learned that P.Cheds has a little gum disease and needs a couple of teeth pulled. Her appointment is scheduled for the beginning of January, but dental procedures are a bit pricey and that’s where you come in! All donations go straight toward making sure Cheddar is healthy and happy! If our goal is reached, any additional donations will go toward food, toys, and future vet bills! Any amount you may donate is greatly appreciated by all of us here at The Herbal Cure, especially P.Cheds! Show us your donation during your next visit for 5% off your order! $42 Ounces of Shake for Our Veterans! 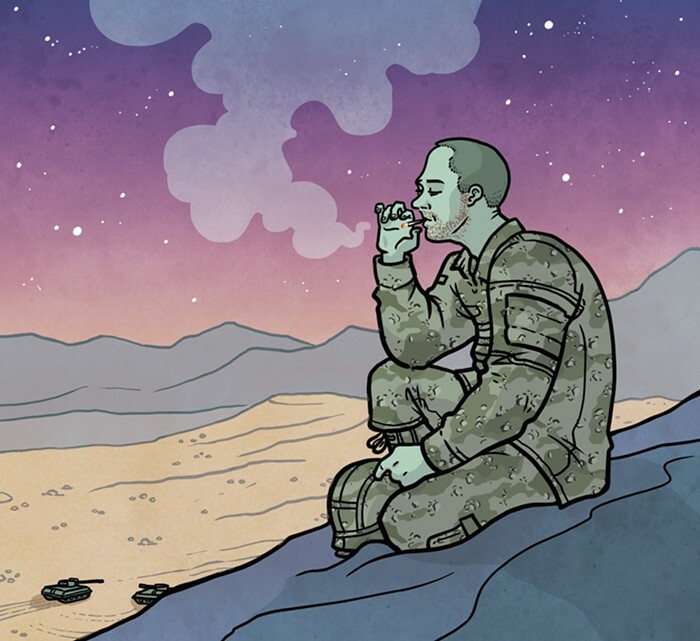 In honor of Veteran’s Day, we will be offering all Veterans (with proof of ID!) 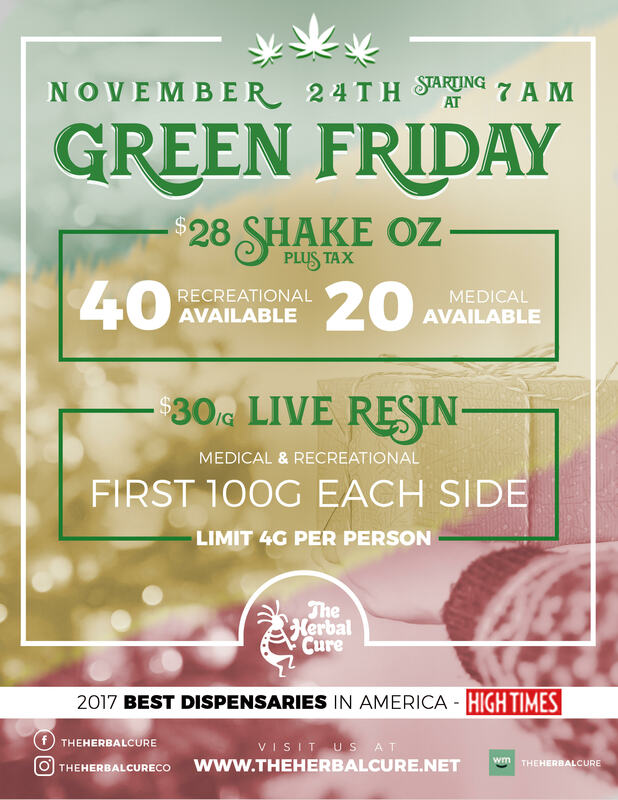 $42 shake ounces at The Herbal Cure on Saturday, November 11! We’re proud to service those who have serviced our country and can’t wait to see who comes out to the shop tomorrow! Patient Appreciation Day – November 6!